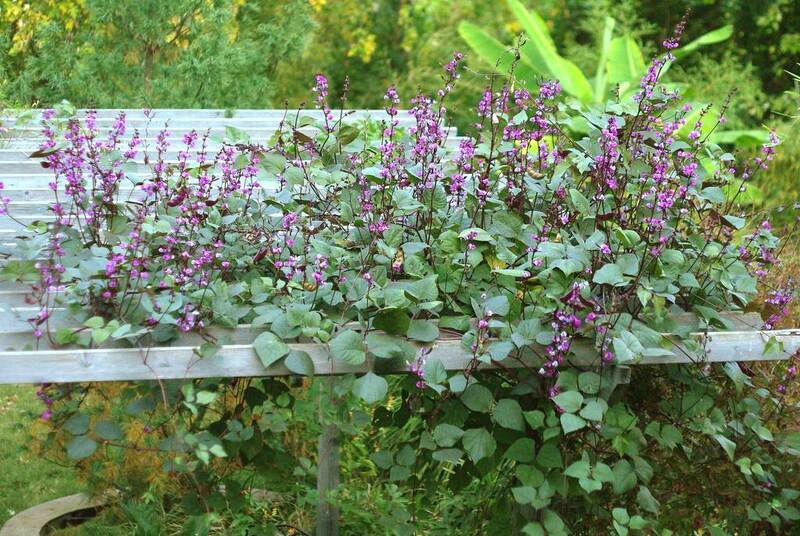 I was looking back at photos of my October garden from previous years so I could do a comparison with its current state, and found a post from about this time in 2011 that made me realize how much I miss growing this plant: Hyacinth bean. The original post is here, but I'll include a few of those photos now in case you're not in a clicking mood. 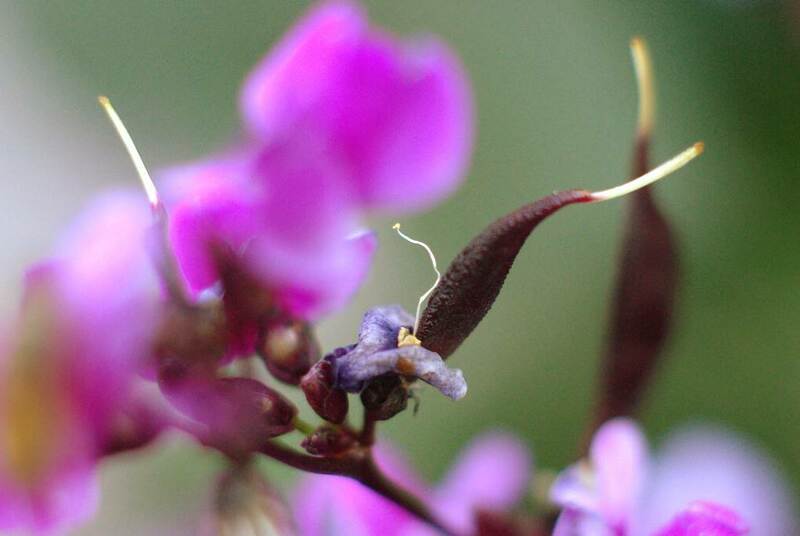 Another reason that I've been thinking about this plant recently is that on Monday we drove past a house in the Benton Park neighborhood of St. Louis and I caught a glimpse of a vine that was growing up the support of a 3-story deck -- it was a hyacinth bean and was all the way to the top! So impressive! 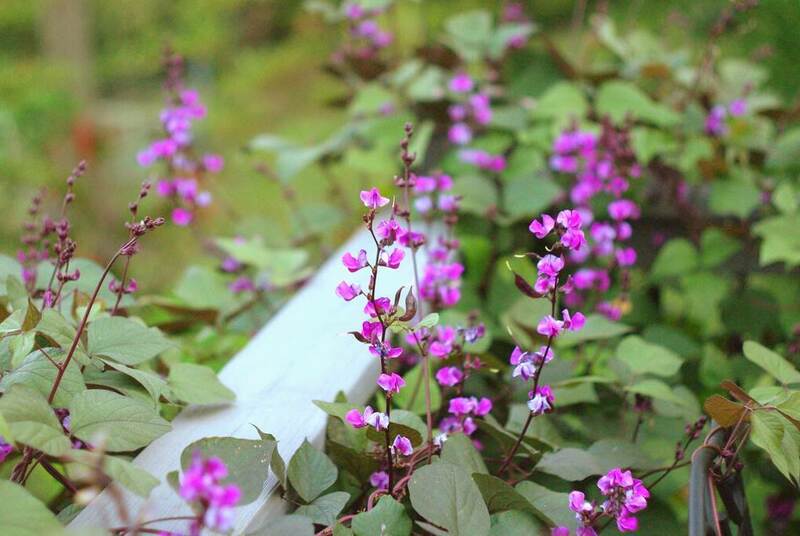 Bees love the fragrant blooms, especially in early autumn, and I do so miss having this grow up onto the deck railing! Please see the original post from 2011 for many more photos! The flowers truly are special. Lovely. Isn't it nice to find fondness once again for a plant you once had? It is always nice to take a look back and find beautiful things that we can we can add to our tomorrows. 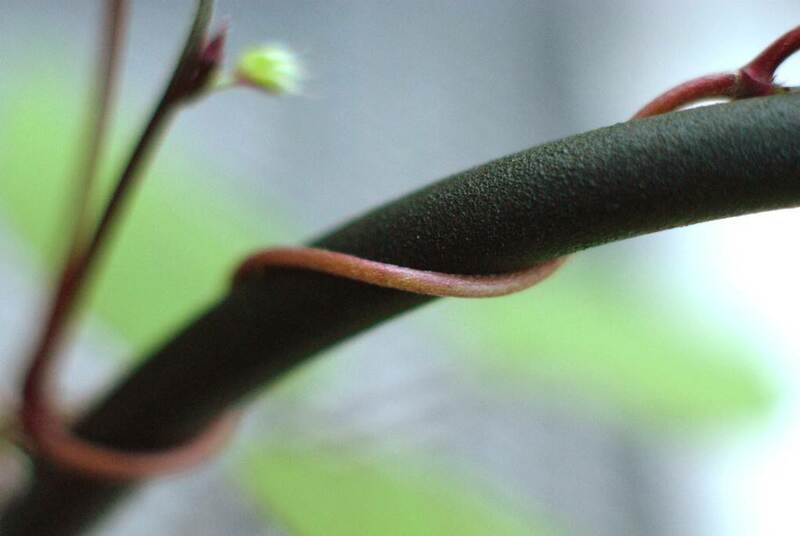 A cool vine which I've never grown. Perhaps next year. Loved the video of the bees enjoying the flowers!